The strategy genre seems to be a niche market, but it’s one that’s consistently filled with thrilling new entries into the market. Likewise, there are plenty of subgenres for players to choose from, which ultimately changes the core gameplay mechanics. Overall, strategy video games will have players focusing on controlling resources as they attempt to defeat the enemy or opposing players. If you’re a fan of the strategy video game genre then check out some of our more anticipated video game titles that are set to launch at some point next year, 2017. We, of course, would love to know what strategy video game titles you’re looking forward to playing next year as well. Let us know by leaving a comment down below! Warhammer 40,000: Dawn of War III will be the third standalone title within the Dawn of War series. Players will see elements from both of the previously released Dawn of War video game titles with a more traditional RTS base building. Overall, the story takes place on the planet Acheron when a catastrophic weapon is uncovered. Out to seek this weapon, three forces, the Blood Ravens Space Marines, the Eldar, and an Ork horde, race to the planet. 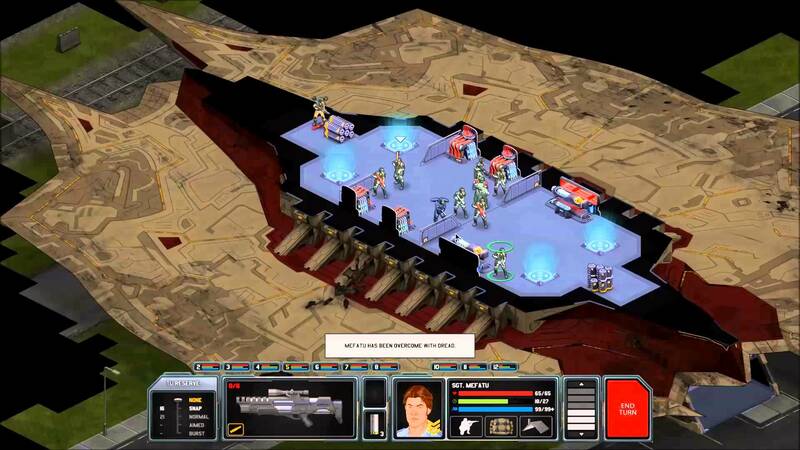 Xenonauts originally came out in 2014 as a title that was inspired by the 1994 video game release, UFO: Enemy Unknown. Earlier this year, the development studio, Goldhawk Interactive, had officially confirmed that their Xenonauts video game title would be receiving another installment. There is not too many details surrounding Xenonauts 2 quite yet. What we do know is that this title will not be a chronological sequel, but instead will take place in an alternate timeline. The world becomes invaded by an alien race during the Cold War, leaving humanity to fight back with their primitive weapons. Though we don’t know what the story will fully entail, the development team has confirmed that players will have the ability to change the story, setting, and enemies throughout the game. 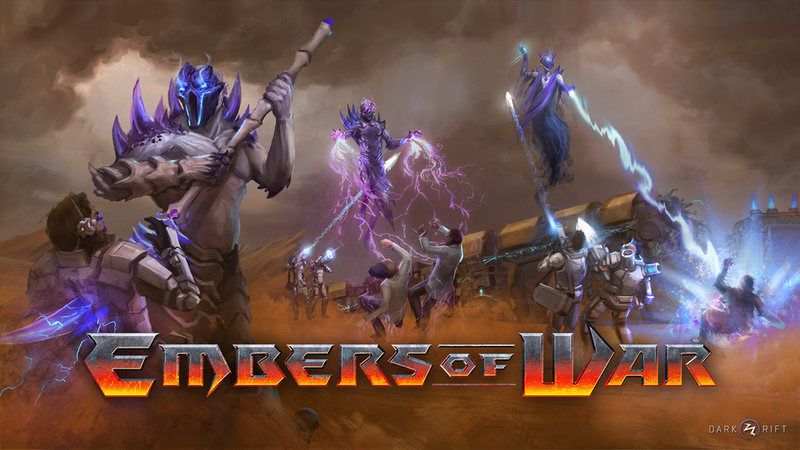 Dark Rift Entertainment will be releasing their first video game release in 2017 known as Embers of War. The video game studio is largely occupied by former employees of Blizzard Entertainment along with other triple AAA studios and the team opted to release a new strategy tower defense video game as their first IP. The studio is keeping the game still pretty tight-lipped, though we know that Embers of War will be set in a futuristic world where players will control a playable hero. These heroes are able to move freely around the map and setup new towers to take out the opposing threat. Sudden Strike is back with a fourth installment and the game will bring in bigger battlefields, more units, better graphics, new scenarios, and legendary commanders. Though it in the past, the fourth installment might have been thought of as a reboot to the franchise, Sudden Strike 4 is confirmed to be another installment of the series. Players will complete three extensive campaigns that will take place in various battlefields of World War II. No matter what faction your command, players will be able to control over a hundred different units into battle along with the ability to choose from one of nine individual commanders such as George Patton or Bernard Montgomery. Summon Night 6: Lost Borders has already released within Japan though the title will also see a western release next year. The video game is sixth numbered entry into the Summon Night series, though only the second title within the franchise to officially be translated into English. Similar to past installments of Summon Night, the RPG title will have strategic and tactical elements. The video game will take place within a world known as Fillujah where citizens have a flying companion creature. Overall, there will be three main characters into the party, Raj, Amu, and Ist, who happen to meet with strangers that have previously appeared in the Summon Night installments. The sequel to Halo Wars, Halo War 2, will be launching in February of 2017. With this installment of the Halo franchise, Halo Wars 2 takes place nearly thirty years after the events of Halo Wars and shortly after the events of Halo 5: Guardians. With the Spirt of Fire declared lost with all hands, the crew emerges from their cryosleep at the Ark. It’s here that the crew runs into a new Alien faction known as the Banished, a group that broke away from the Covenant after their demise. Dynasty Warriors might be more known for their hack-and-slash type gameplay. However, there are spin-off titles that have adjusted their gameplay mechanics to resemble more tactical turn-based gameplay. This is the case with Dynasty Warriors: Godseekers, a title that acts as a spin-off to Dynasty Warriors 8: Empires. Gamers will take part in a Romance of Three Kingdoms narrative as you scout for their army. As mentioned, this is a tactical role-playing video game. Players will maneuver their battle units in an isometric square grid as you face off against opposing groups. These various units will have their own attack and abilities that will require players to carefully plan out their plan of attack. The third installment to SpellForce is set to launch at some point in 2017. This real-time strategy title will focus on three playable races which are humans, elves, and orcs, while each of these races will consist of four basic unit types. Within this third installment, the video game will take place within the year 518, before the Convocation. The rebellion of the four royal houses against the crown of Nortander has been quashed by the Queen. Though during the process of this war, the land has been left in shambles leaving the royal forces to regain law and order. To make matters, worse, the Queen has been left in a coma after the war. As a member of the royal army along with an offspring to the rebel mages who instigated the battle against the crown, you’re left to decide where you’re responsibilities and morals truly reside. 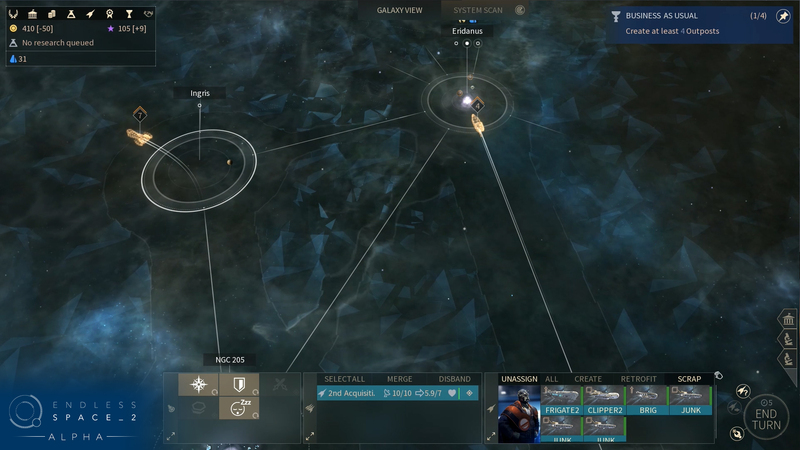 Endless Space 2 is a 4X turn-based strategy video game. Players will be put into the role of a leader guiding a civilization as the make their first step into the depths of interstellar space. Your overall story narrative will revolve around exploring mysterious star systems, which will contain unique star systems thanks to Amplitude Studios Galaxy Generator. It’s within these star systems that players will discover secrets of ancient races, develop advanced technologies, along with encountering new life forms. Though the video game doesn’t full release until sometime next year, gamers can give the game a try as an early access title on Steam. Blitzkrieg 3 is a real-time strategy MMO set during World War II. This, being the third installment to Blitzkrieg, is also stated to be the last entry from developers Nival. A large portion of Blitzkrieg 3 is focused on the multiplayer campaign, where players will work on their fortified areas while attacking the enemy force. However, there is a single-player campaign which covers the Poland invasion through the fall of Berlin. It’s within this timespan that players will control one of three in-game factions which are the Axis, Western Allies, and USSR. If you enjoyed the previous installments of the video game franchise then you might want to take note of the latest changes. One of the biggest will be a new multiplayer feature which allows the game to continue on when only one or two human players is online. After defensive lines are established around the player bases, AI is able to command the defense. Similar to Endless Space 2, Blitzkrieg 3 is available to play right now as an early access title.